RIP, Dr. William Bates. 1860 to 1931. 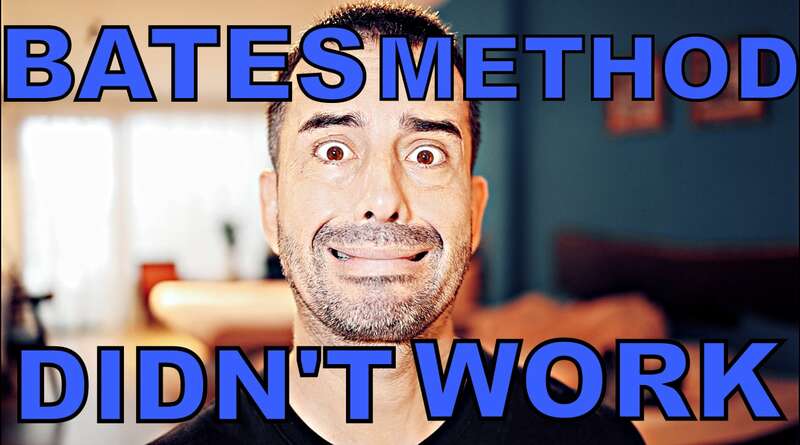 What’s not dead at all though, although it absolutely and definitely should be, is the so-called Bates Method. Thanks to the Internet, gullible myopes, and patently retarded ‘Bates Teachers’, the scourge of all natural myopia control continues to live on. Like mold. Like cockroaches. Like a rash that just won’t go away. In this article, the only article you’ll ever in your whole life need to read about Bates Method, your darling eye guru will explain in most excruciating detail why you don’t want to Bates-anything your eyes. 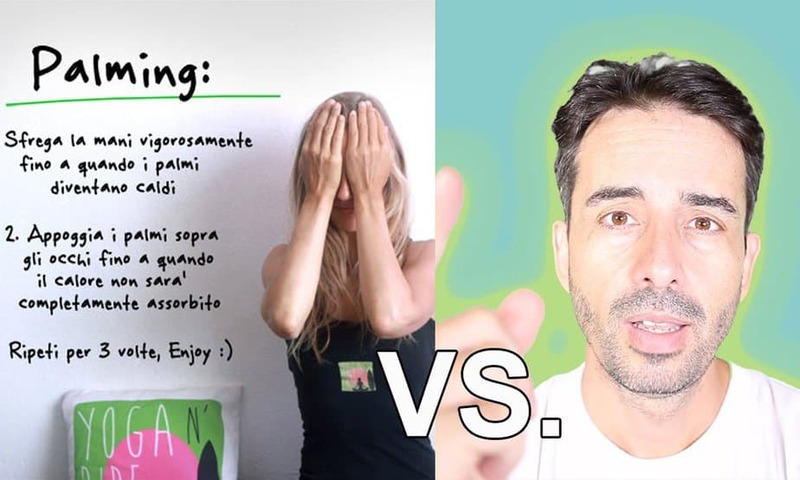 Why you’d waste your time with stupid eye exercises, risk permanent and irreversible damage with Bates Method “teacher” practices, and most importantly some real science on what myopia is actually about. Also spoiler alert, yes you can reverse your myopia. Just not with Bates Method. More on that a bit later. So first let’s get started with some Bates insight, shall we? You can read all about ole Bates biography on the Will Bates Wikipedia page. Wikipedia isn’t always as unbiased as we want to imagine, with various little jabs by editors, or attempts at positive spins. In this case, the general overview is pretty spot on. I won’t bore you by reposting it all here, you can go read the biography from the link above. Let’s add some context though. Context, kittehs, is key. Ole’ Will lived in a time (the 19th century) when we collectively knew preciously little about human biology. This is really important to understand what you’re being sold with ‘Bates Method’ – namely, a yikes-fest of human cluelessness. Bates lived in times where blood letting was still considered a fantastic idea and practiced by, be ready for this one – barber-surgeons. Yes, darlings. Get your hair cut and also some surgery, all in one (epic) place. Feast your eyes on what you’d have been in for if you’d lived in the 19th century. There are countless interesting practices from that period, including ice-pick lobotomies (yay), and giving your kids heroin in their cough syrup. Yup, heroin as cough suppressant. What’s your point Jake, you’re thinking. Point is, Bates lived in a time when we seriously had absolutely no clue about biology. We were little kids playing around with adult toys. We were at the very early stages of trying to figure things out, and while admirable nothing from that time is what you really want to take as great idea because old-timey wisdoms. First though let’s say a few good things about ole’ Will. If Bates ideas had evolved like other early medical exploration, we may not have myopia as a collective human problem today. I’ve written about Bates having had good ideas, a few times. That’s right. I said it, Bates was right. 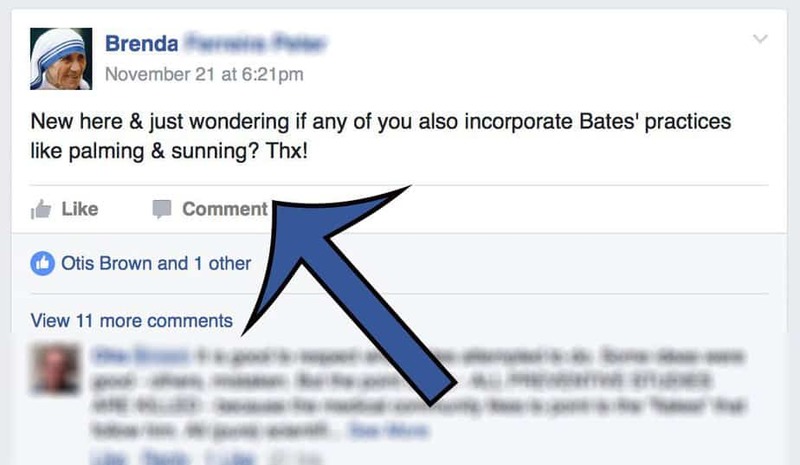 Bates was – kind of – right. For a man living in a time of no biology clue, his hunches were not far off the mark. He imagined that strain is a problem. Which it is. He imagined that various practices to relax the eyes would help. Which they do. Now, should those practices include ‘sun-gazing’, ie. staring directly into the sun? Only if you want to burn your retina and potentially have very serious and long term vision problems. I said Bates wasn’t so far off the mark, for his time. The devil (and harmful sunlight exposure) is in the details, and those details were elusive back in the 19th century. Let’s use some absolutely conclusive proof that Bates didn’t know biology – and that ‘Bates Teachers’ today are equally scientifically illiterate. Ole’ Will had a theory. A central theory to his whole Bates Method premise. The theory goes, as many old-timey theories do, that myopia was caused by elongation of the eyeball (true) which was created by the extra-ocular muscles of the eye (very much not true). See how all the pieces come together? 19th century ‘medicine, filled with good ideas, backed up by not any biological reality. When being told about Bates Method. That’s right. Extra-ocular muscles control the movement of the eyeball inside the eye socket. If you want some more Wiki bits on this, the role of extra-ocular muscles is fairly well explained. Hey, guess what these muscles don’t do? That’s right, darling. They don’t control axial length of the eyeball. Axial length is definitely the primary cause of (multi-diopter) myopia. And axial length absolutely does change. And even more interestingly axial length increases if you wear minus lenses (those glasses in front of your face). If you really want your mind blown read this study on human axial length going both ways, suggesting that you can possibly actually reverse your myopia. If you want your mind blown some more, optometry science even admits that they cause myopia. Stranger than fiction indeed, kittehs. Stranger than Bates Method fiction, the actual reality of myopia. Now this whole explainer is but a little toe-dip into what is a vast pool of potential knowledge on vision biology and the mistakes of our optometry forefathers. You’ll want to explore the science section of the most excellent blog if you want some proper immersion into the subject. Takeaway? Right track, lacking biological reality insights. That’s fine, it was the 19th century after all. If you want to fix a thing, you have to understand how (and why) it’s broken, first. This is one of your favorite eyeguru’s most profound contentions, people trying to fix things they don’t understand in the first place. It’s nonsensical. First you need to know how it should work, how it used to work, what broke it, so you can actually fix it. And myopia in particular is caused by two (very simple and scientifically validated) things – close-up eye strain, and later the use of minus lenses used to hide that strain symptom. A lot has been written on this topic, including literally tens of thousands of scientific articles that you can find on Google Scholar, as well as this very brilliant summary on myopia causes. You need to deal with close-up strain. Bates had the right idea. But then more importantly you also need to deal with the hyperopic defocus that’s causing your eyeball to elongate and progressively increase your myopia. You’re not going to do that with eye exercises. 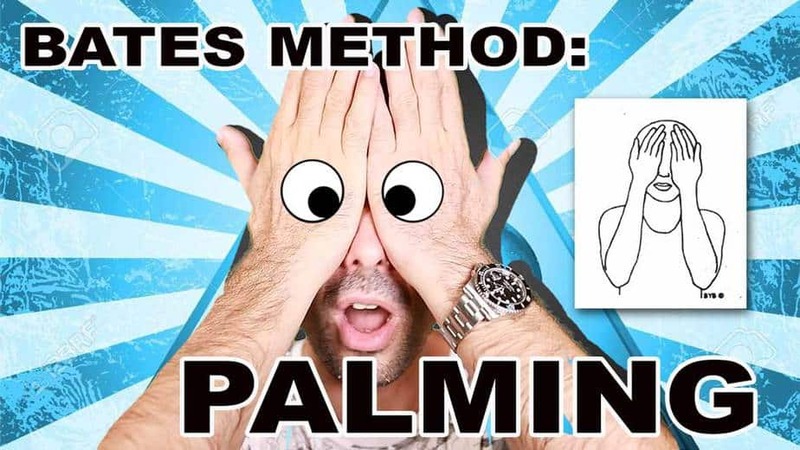 Palming isn’t going to address lens-based myopia inducing stimulus. Burning your rods and cones off with sungazing isn’t going to magically undo the 14 hours of video games and browsing Pornhub. That ciliary spasm is still there, and you won’t fix that unless you come up with better habits (not exercises). The reality of myopia causing stimulus, and the incredibly adaptive sophistication of your eyeball goes deep. Real deep. We know a lot more now than we did in the 19th century. Don’t take my word for any of anything I say. Go on Google Scholar, read some science. Get an eye biology book, see how the thing actually works. Then realize that Bates Method makes very little sense in the 21st century. There are a lot of bad ideas in today’s pseudoscience, drool-faced Bates ‘Teacher’ logic. A common one is not wearing glasses, which is one of the many ways you’re going to just screw up your life without accomplishing anything meaningful. 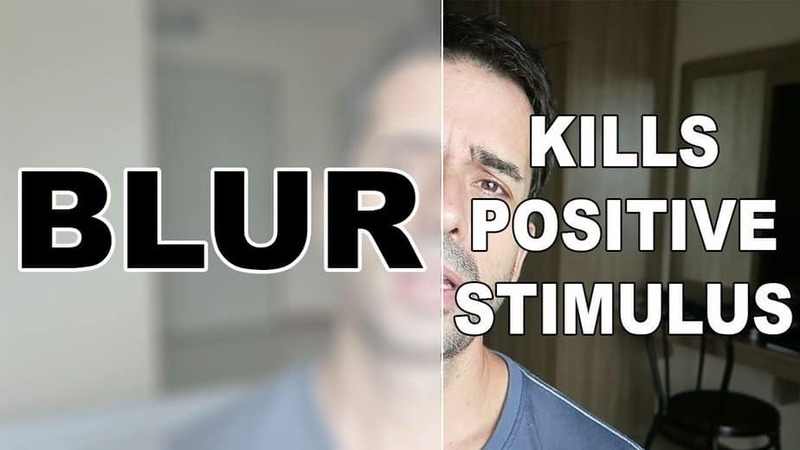 I wrote a whole detailed explainer on what happens if you don’t wear glasses, most significantly the matter of blur adaptation (in video format no less). There’s even a detailed video of me explaining the diopter bubble and why not wearing glasses, Bates Method style, is a bad idea. 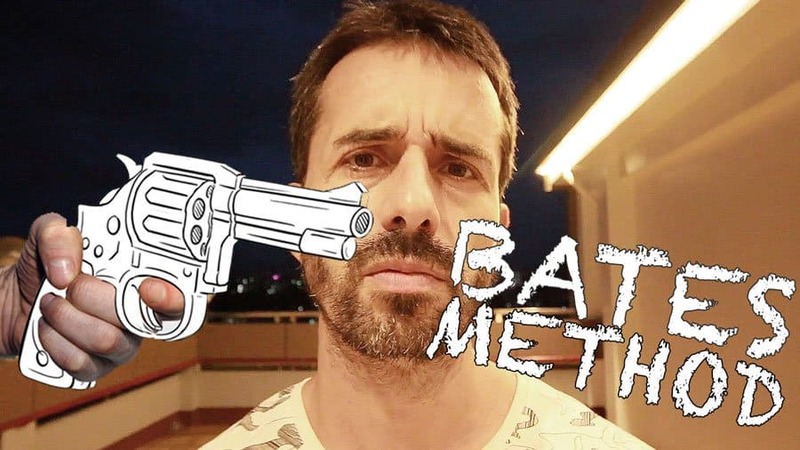 I also wrote about why I rail against Bates Method so often. Spoiler alert, it’s because people looking for real myopia answers are lead down the wrong path by Bates teachers. It’d be fine if it was just a little fringe idea, but sadly Bates and natural myopia control are so often intermixed that it leads people to think that there are no good answers to controlling myopia. I even get in a whole video rant on Bates misleading myopes. In the Bates section of the blog we also explore things like palming, why it doesn’t work, and what to do instead. We also have some lengthy comparisons of Bates method vs. sanity (ie. using science to reverse your myopia) discussions in our Facebook group. There are other video rants, where I usually try to give Bates his due. These are fun videos to make mainly since they upset Bates teachers (hey Jake, don’t make fun of the handicapped). I often repeat that I as well as thousands of others have successfully reversed their myopia – after quitting Bates Method ideas. Lots more here in the Bates Method section. Read, enjoy, and then start exploring real and science-based answers to getting rid of those pesky glasses.